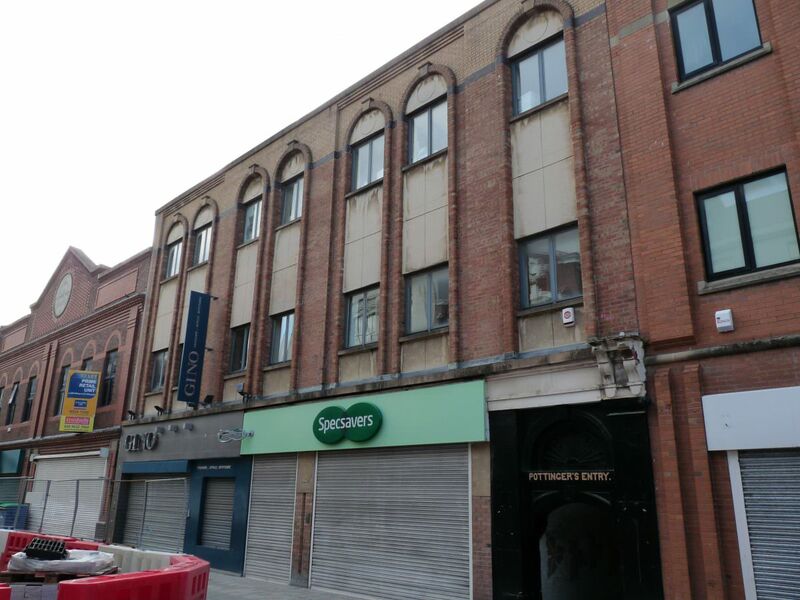 A three-storey commercial building designed by Paddy Byrne for Deramore Developments. Previously at 36-40 Ann Street was a four-storey warehouse built c1880 and demolished 1991. 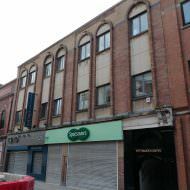 A low arch connecting Pottinger’s Entry through the 19th century warehouse was re-instated within the current retail building. A 5,000ft2 unit extending across ground, first and second floor. The unit was offered for sale by private treaty (£475,000) and was sold in July 2015. California Coffee relocated to the unit from Arthur Street during late summer 2015. The coffee shop closed in February 2017. Therapie Clinic began fitting out the unit during autumn 2017 and will open during early 2018. A 3,000ft2 unit extending across ground, first and second floor. The unit was let to Specsavers Opticians on completion of the building in 1992. The unit was placed on the market by Frazer Kidd in May 2015 with offers invited above £675,000. Specsavers relocated to Victoria Square in June 2016 and the unit was let to Shruropody (relocated from Lombard Street) in October 2016.